The ugly side of holiday shopping. 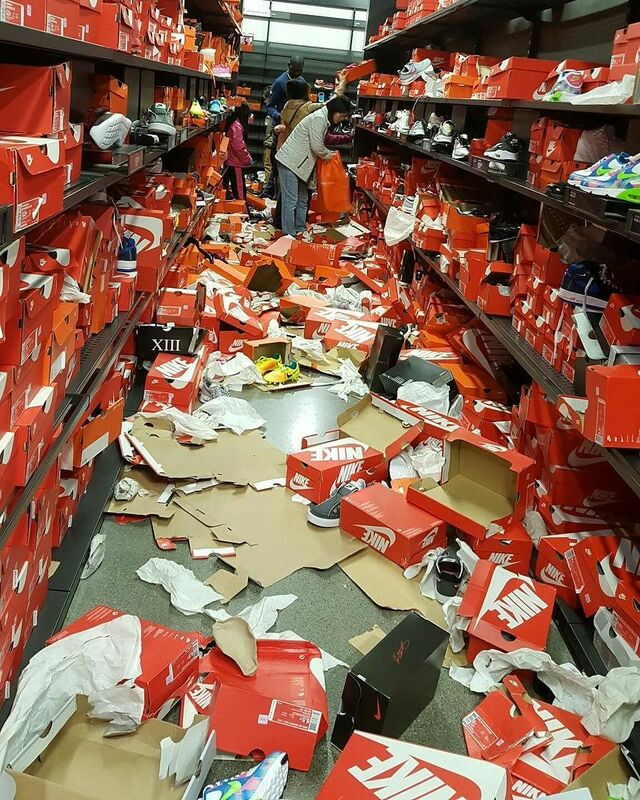 If there's one way to express thankfulness during this time of the year, it's trashing a place of business for a mediocre discount on sneakers. That's exactly what happened at the Nike Store at the Seattle Premium Outlets on Black Friday. 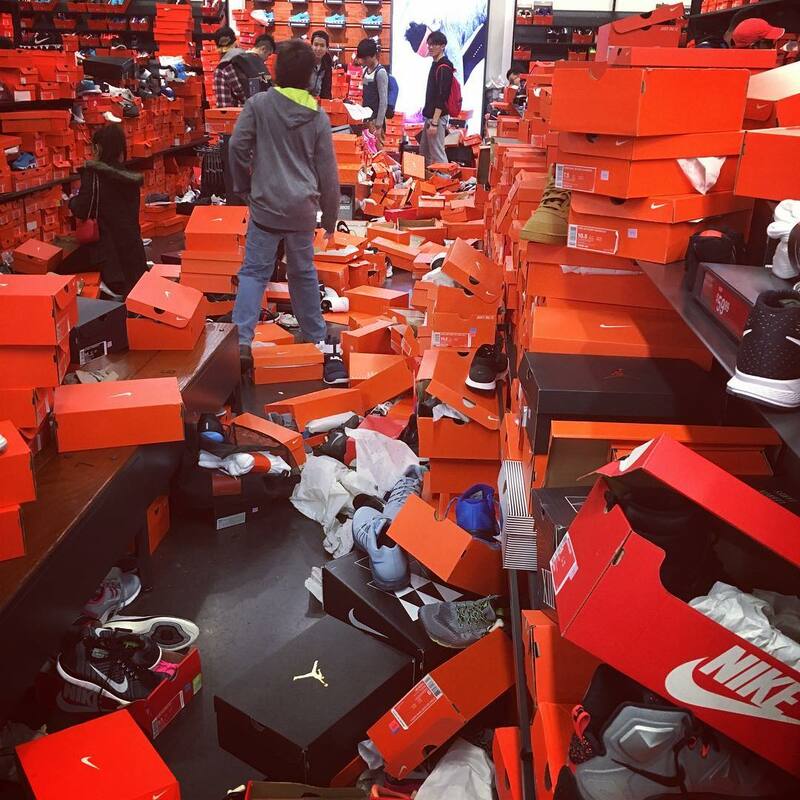 Several shoppers took to Instagram to share images of boxes and trash scattered throughout the stores aisles. According to flyers, the deal in place was 25% off storewide — a decent deal, but not one worthy of leaving the store looking like a cut scene from The Walking Dead.